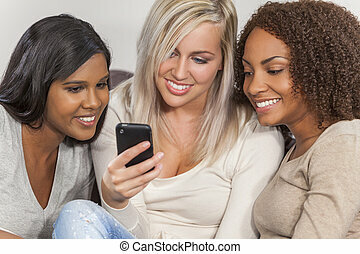 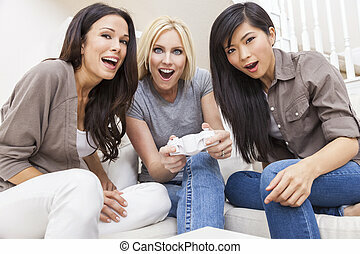 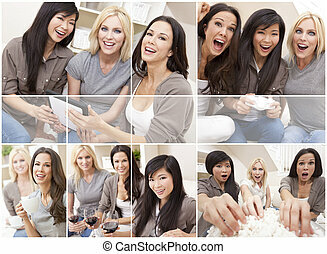 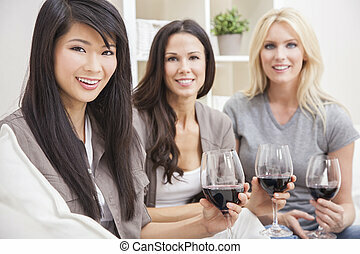 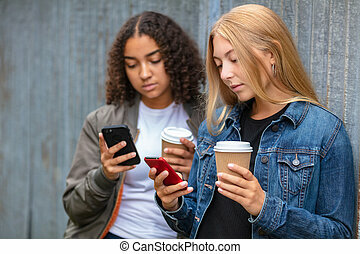 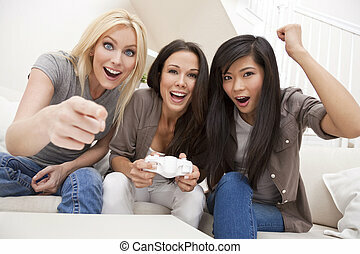 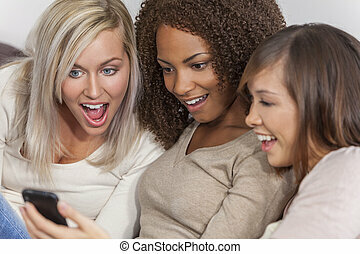 Three beautiful women friends using smart phone. 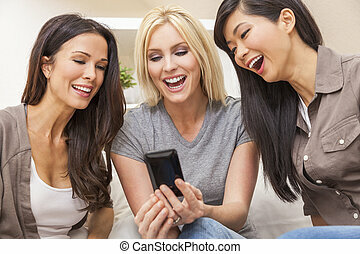 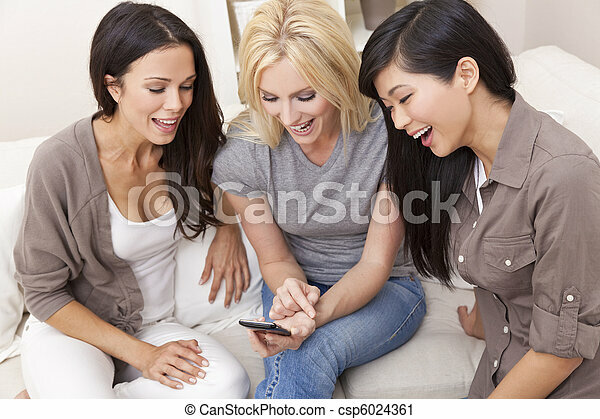 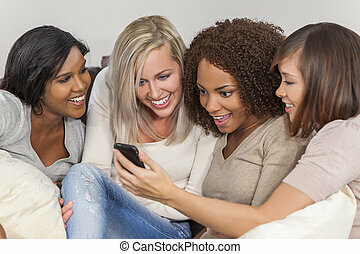 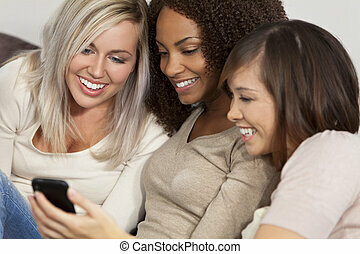 Three beautiful young women friends at home using a smartphone and laughing. 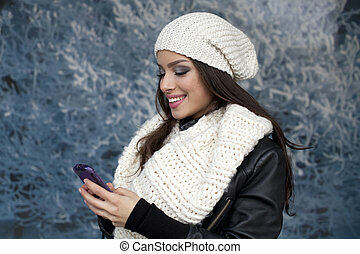 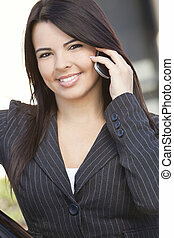 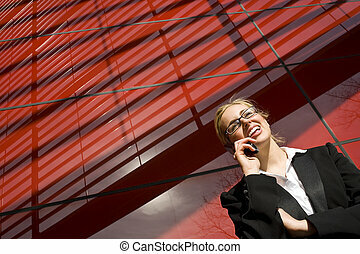 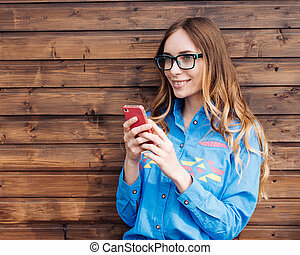 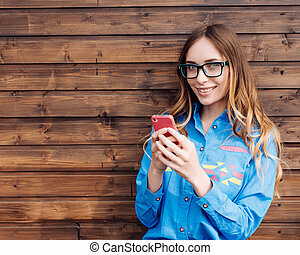 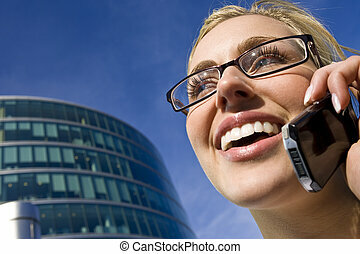 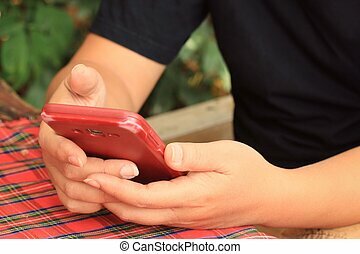 Beautiful young smiling woman using smart phone to listen to music while relaxing at home. 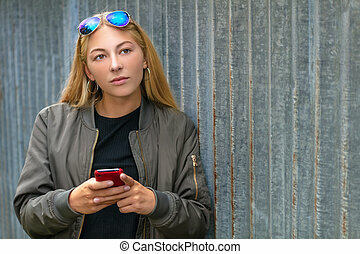 Girl is dressed very casual in a grey vest and blue jeans, looking straight into the camera. 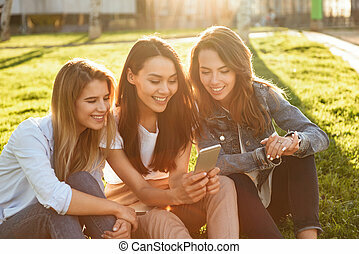 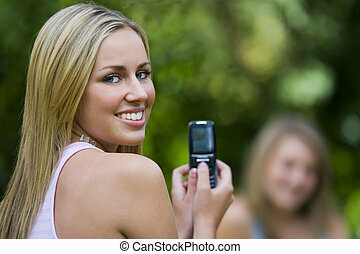 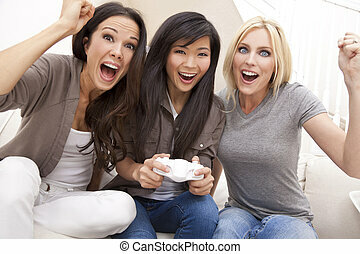 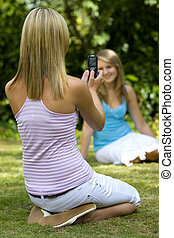 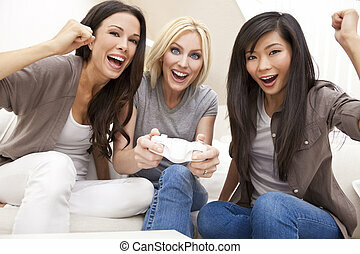 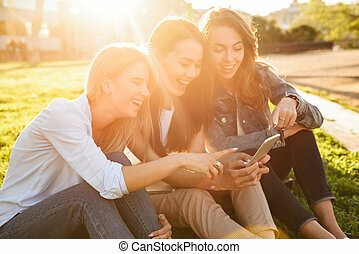 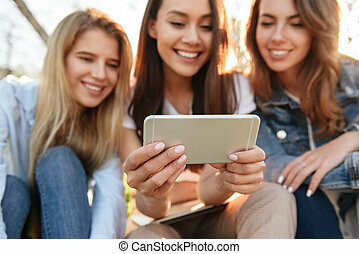 Photo of happy three friends women sitting on grass in park outdoors looking aside using mobile phone. 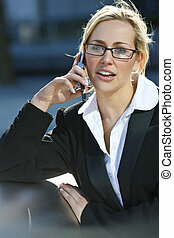 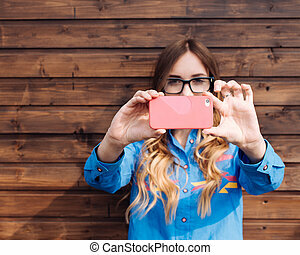 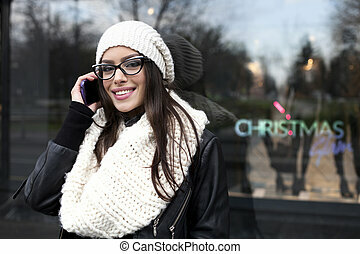 Beautiful young hipster woman using smart phone. 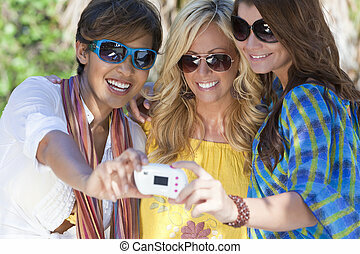 Three beautiful young women in their twenties laughing and having fun taking pictures of themselves using a digital camera while on vacation in a tropical resort location.